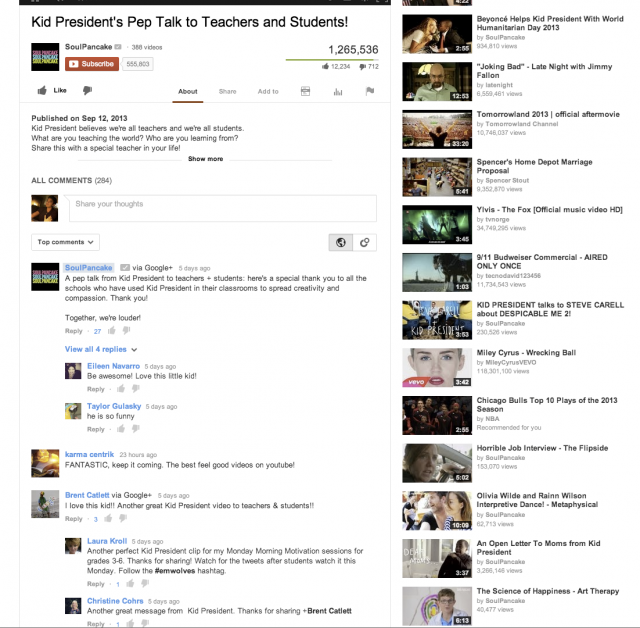 Google and YouTube announced yesterday that the comments on YouTube are going to be powered by Google+. Google said, "starting this week, you’ll see the new YouTube comments powered by Google+ on your channel discussion tab." Well, for one, a unified Google experience for sharing. But most importantly, it should result in less spam Google said. Forum discussion at Google+ and YouTube Help.